Whilst in South Africa doing a series of workshop, I made 4 mini docs, which you can see here: Ponte Tower, Portrait of a projectionist, the salt water drinkers and the tracker and the banker. These were not commissioned films. There were done for myself and for the pleasure that I take in telling stories. I am a huge advocate of shooting for yourself when you can. It gives you incredible creative freedom which paid work often doesn’t give you, and for me on these workshops gigs I need to make sure I shoot whilst on them, as filming is so important to me. I love to teach. I love shooting more! 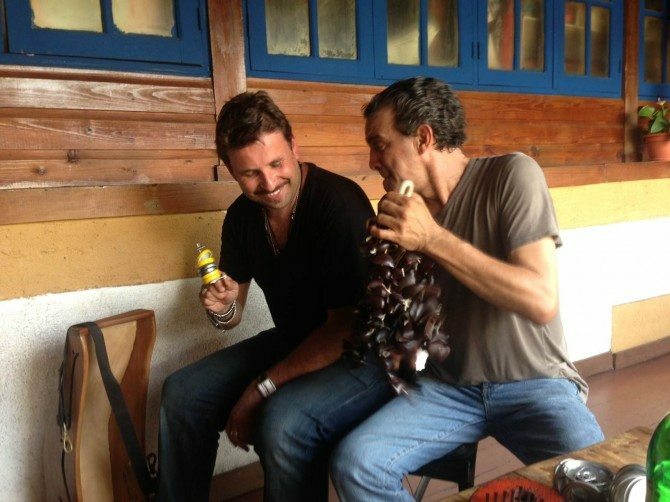 I recently did a week-long workshop gig in the Dominican Republic. My first time there. Unfortunately I didn’t have a chance to see anything of the Island, but I did have an afternoon off, so I had to shoot a mini doc in that time. Finding the right subject and right story was key. Nothing too obvious but something very much Dominican. The stories I like to tell are about people, people with stories, interesting stories. A number of potential ideas were floated to me, but like in South Africa, the story needs to click with me before I commit to something. In South Africa, two of the mini docs subjects were literally decided upon right before I shot them. How do you know? Well, a lot of it comes down to my experience, but a lot of it will come down to your reaction when you hear the story told to you. Are you actually interested in it? Do you want to know more? Do you want to see a film about it? Can you tell the story? If the answer is yes then you have your subject. Christian Balbuena, one of the organsiers of my workshop there, told me about Felle Vega. 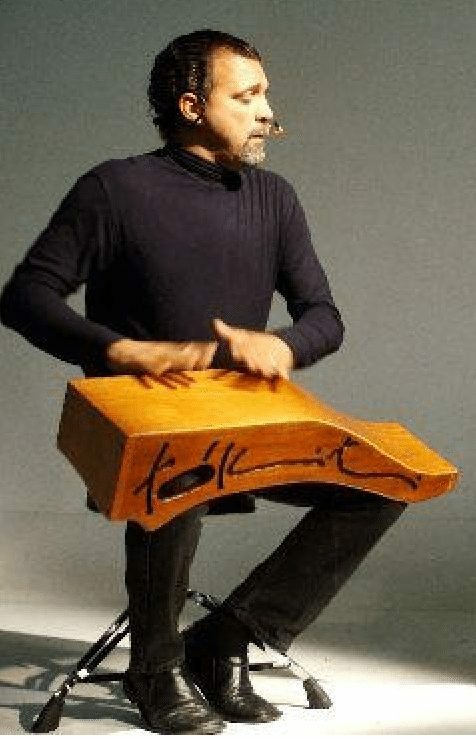 A percussionist who makes his own instruments out of whatever he thinks could sound good and actually made the first ever Dominican instrument, the Boombakini. 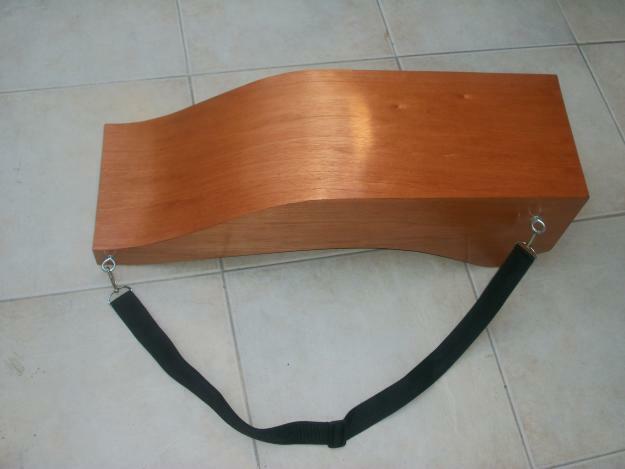 A form of drum made of wood, patented by Felle, which is capable of wonderful different tones and rhythms. Now Felle is not an undiscovered man, he is well known, but whilst looking online at stuff about him I couldn’t find anything that really grabbed me or told me who exactly he was and what drove him. So Felle was going to be my story, and I was lucky enough to meet him the day before which sealed the deal. A wonderful man with an incredible spirit. I needed to capture this. I would have around 2 hours with Felle, as I had commitments until 1pm and he needed to rehearse for a play he was doing musical accompaniment for around 3. So not a lot of time. Pretty normal for me! So my set up and plan were very simple. I had to find one place to set up, no moving around..Not enough time. And I had to use as much natural light as possible. The venue we had was the Casa Del Teatro. There was a nice outdoor space, but with it being 1pm a terrible idea to be out in the sun, due to awful top down light. So I found a spot in the shade but still with light….enough for a main key and with my reflector as a bit of fill. I shot with two cameras simultaneously. Quite rare for me. I like to have one camera at a time to concentrate on as I’m shooting and directing. I had two cameras with me on this trip. No C300, no Blackmagic, no FS700. Just DSLRs. My favourite, the 1DX, and the 5Dmk3. I used the 1DX as a locked off-wide on my Miller DS20 tripod with a 16-35mm Canon set to 16mm and used the 5Dmk3 as the main camera with a 24-105mm F4 IS using a simple Zacuto Target Shooter and Z-Finder. A lovely simple set up and a favourite of mine. 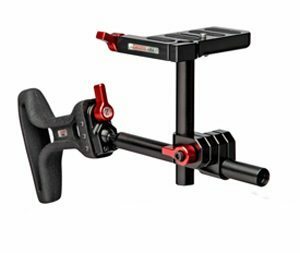 It’s Zacuto’s simplest DSLR rig and still my favoruite for any non EVF shooting. Simple and lightweight. So why the 1DX as locked off and why the mk3 as main? The 1DX image is without doubt way nicer in video. I love it. I have shot one music video and two mini docs with it. The image is just the best DSLR image I have ever seen and one of the nicest digital images I have seen, too. It’s also sharper. That is why it was the wide locked off. Better for detail. The 5D3 was going to be completely handheld (lighter too, so better for me!) and generally pretty tight so shallow-ish DOF (it cannot be wider open than F4, but I love that lens, nice full frame range and the IS is essential and F4 is shallow enough for this sort of thing) would look great on it, it just would need sharpening to match the 1DX…in fact in post I sharpened the 1DX by 8% in CS6 Premiere and the 5D3 to 30% to match! Quite a difference. The mk3 does sharpen up really nicely! Sound was again done on my lovely Roland R26 with the Rode NTG2 (I prefer the NTG3 but phantom power and AA powered recorders like this don’t work well together, too many batteries are used up). There was also a condenser mic inside the gas cylinder instrument and Felle had the Sanken Cos 11 lav mic on him. With only two inputs on the Roland, when the gas cylinder was used the NTG2 was unplugged as it was not needed. Raul, who was my guide in this country, operated the Roland so thanks to him! The 1DX was pretty much just locked off the whole time. I moved around a lot on the mk3 for the interviews and performance shots. Sometimes Felle had a much more front-on key, which really brought out his amazing eyes, and other times I was much more side on, more dramatic but less connection to him as his eyes were not lit up. I preferred the side light for the performance shots and the front on light for the interview, but before and after performance I threw questions at him, so hence there will parts of him explaining stuff on camera in the film which are more side on. Basically Felle and I chatted and I filmed it. That is how I like to do these things. I got him to look at the camera as it’s nice and intimate and also as I was looking into a z-finder, so not much choice!! I coloured this all in the wonderful Colorista II. Why black and white? It just felt right, that’s all and of course I think it worked great. The light was already quite contrasty, so it was already in my head whilst shooting this that this would be style of choice. 20% off all magic bullet products with the code bloom20 as detailed in the banner below. The edit was at times quite fast and frenetic and at times more slow and deliberate. It depended on the style and feel of what he was saying at the time and the music. All cut native within Adobe Premiere CS6. If you have anymore questions about this piece on why I did certain things, do ask below. I am always super keen to explain the creative thought process! This is now my 3rd in my “Portrait” series after Boxer and Projectionist. I plan to do many more! 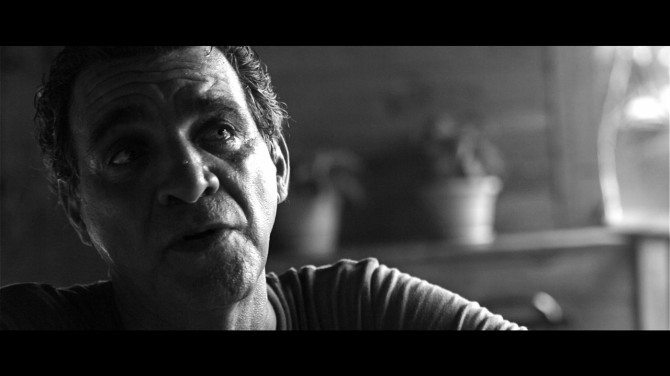 Portrait of a Percussionist from Philip Bloom on Vimeo. The perfect pocket HD camera? How to “sort of” give your Blackmagic Cinema Camera a Super 35mm sensor! Great Job Phillip. I really liked it. I love Black and White, not for everything, but this looked beautiful in B&W. I usually try and watch videos critically… checking the angles, headroom, focus, ect, but i must admit that i got caught in the story this time, it just goes to show, there are no exceptions to capturing a great story. Amazing that you only had 2 hours to shoot this. I do actually have a question though…were your zooms done digitally in post or in camera during the interview? Thanks for your continued effort in educating and great job on the mini-doc! do you re-adujst your exposure everytime you zoom? i realize that this is a different lens camera set up but both are canon cameras and both are l series fixed aperture f4 lenses. i’ve been able to duplicate my results with the 24-105 on a 5d body mk iii body. the zooms i saw in the tracker and the banker seemed “short” for lack of a better term – meaning they didn’t seem to go from one end of the zoom to another. i’m wondering if you just didn’t see the effect with a short zoom if you will? been trying to track this issue down for quite a while. seems to me to be part of the physics of zoom lenses and f-stops. that is, f4 @ 105 must be a larger diameter than f4@ 24mm due to light fall off etc. it’s almost like canon cameras are compensating for this with stills when the shutter is released by “stopping down” (if you will) by varying amounts when you move through the zoom range. or maybe i’m just over thinking it! for reals though, you’ve never encountered this with canon zoom lenses? anyway – thanks for any insight you can offer! This is my first post ever in your site. Thanks for the great work in putting together the information on your site. This black and white piece is really outstanding. Did you convert it B&W in post or shot in monochrome? I am planning to shoot a “film noir” feature titled ‘She is straight from hell’, from 26 Dec. I want to shoot it on a hacked GH2. I am still on fence about whether to shoot in B&W in camara or convert it in post. I know the standard answer would be shoot it in color and do your thing in post as it gives more creative choices/flexibility later but hacked GH2 gives beautiful film like grain at high ISO levels when shot in black and white. As most of my film is suppposed to be really dark and lowlight setup, I am wondering which setup you would suggest. Hey Philip, Do you know why the mkIII has to be sharpened so much? (ie any word from Canon?) I just shot an interview on mine, the sharpness seem ok, but I have not edited yet. Also, what did you shoot sound with? I have to say this is one of the best black and white edits I’ve seen lately. Love the way you captured the highlights in his eyes in some of the close-up shots. The story itself is great to follow and listen to. Beautiful talent – both of ya. Phillip, I have one question, maybe two, which are connected with my plans to buy DSLR for shooting video (generally: Canon or new Lumix Gh3) and with this film above also. What is aperture value which is „dealbreaker“ for You (I mean DOF). Let me explain further. For example: two new best lenses Panasonic (12-35 2.8 and 35-100 2.8) have equal aperture 5.6 in full frame (maybe a bit more because Gh3 in 16:9 mode has 2.15 crop) . You worked with aperture 4. Is it so big difference in doing films between 4 or 5.6 aperture? I know: we can always change lenses but than You have more money and more patience. Sometimes somebody says that those new best Panasonic lenses are too sharp for „cinematic look“ of films. Is it true…? What about Canon lenses for „cinematic look“ ? 24-105 isn’t too sharp …? Sharp lenses are great. Dont listen to them! 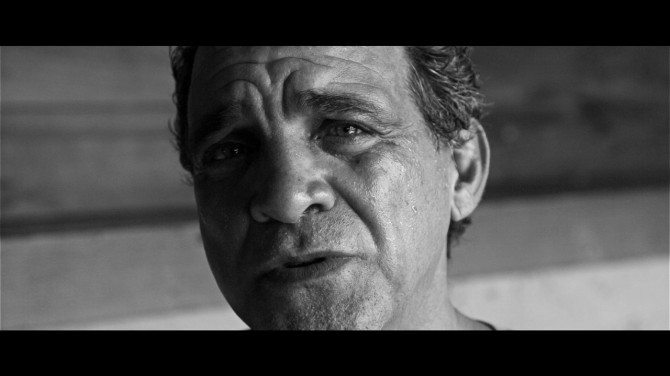 Really great doc, amazing how using B/W with the strong key light works so well! Philip – What ‘style’ did you film on with the 5DIII and 1DX? Technicolor Cine-style? And I have also always wondered if you mask your Screen on your monitor/screens for the 2:35:1 ratio or have another method? Another nice piece. You have a knack for getting people comfortable in front of the camera to get a good story. Do you ever run into subjects/people that do not want to be on camera and what do you do to convince them into it? I really like how you captured the eyes in Felle’s up close shots. Also, if you are ever in Richmond, Virginia when you come to the states. I have a friend that makes body jewelry (https://www.onetribe.nu), mostly by ancient methods. He would be a good subject for you if you ever end up in that area and you are looking for something to shoot. Nice doc Philip. I am amazed at the fullness of the contents of your docs in general let alone the beautiful photography. I am very interested to emulate this kind of short stories for the same reasons – creative freedom and pure joy of shooting. Beautiful piece Philip, and to think you only had 2 hours, impressive. I liked the stylized grading and the dynamic edit which goes well with the beautiful sounds and of course the great subject Felle Vega. I have two questions, if you don’t mind. I own the Zacuto Striker (Tactical Shooter) which is identical to the Target Shooter only with the addition of the handle on the right. Why do you prefer the Target Shooter? I know you lose the easy control of the iris as your right hand is holding the handle rather than the camera body, but still I don’t think you usually change the f-stop anyway during shot on regular canon glass like the 24-105. You did use the Tactical Shooter in the past, and the size and weight is almost the same. About the Canon 24-105, I guess you used it here mostly around its long range to more easily achieve shallow DOF even at F4. I am having a hard time deciding between the 24-105 F4 to Canon’s new upcoming 24-70 F4. Both have IS, both at F4. The new 24-70 F4 would probably be sharper and have a better IS (4 stops vs. 3). 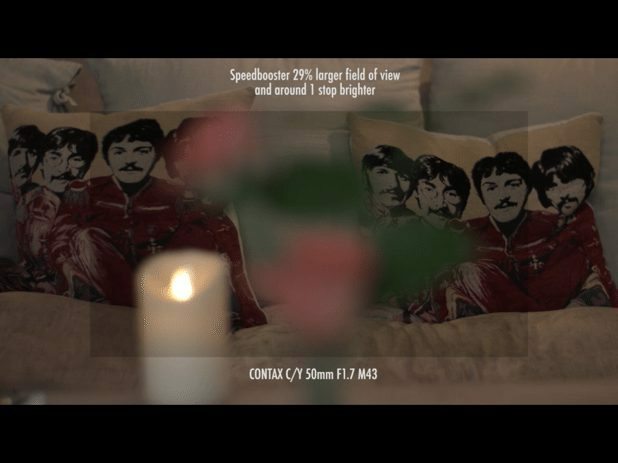 But I think it’s the additional longer focal length of the 24-105 what makes the shallow DOF easier at F4. I love the additional range but have not seen this new lens… Is it a budget lens? The new upcoming 24-70L IS F4 isn’t a budget lens, it’s an L series. Should have better image stabilization than the 24-105 and sharper, but 24-105 seems so much better range than 24-70.
that 1dx does look great but with the sharpening on the 5d3 it looks really good too! Wow, another gem !! Amazing work…and mustache! nicely cut! I like the idea of mini doc on the interesting people! What sharpner tool are you using in the premiere? A lot thx to what we’ve learned from you! Very nice, I really enjoyed the black and white on this piece, and I usually am not a fan. Loved the funny bit at the end! As a former musician, I love the content. However, watching your “artist on artist” series, I still find myself continually distracted (in a positive way) by the brilliant camera angles, DOF, etc. An amazing alleged “day off” which epitomizes your commitment to your craft. Brilliantly done and thank you for sharing and continually educating but that mustache in the out-takes has got to go! So audio and video were recorded separately and synced up later in post? Is it my monitor or this is blue and white instead of black and white? It doesn’t look neutral grays to me. Now going to pick the beans can thrown in the trash, clean it, and try to make it sound..
Black and white or me! Very nice work, Philip. I’m a very satisfied mark III shooter, and the only real flaw I’m experiencing with this camera is a a quite strong vertical banding popping up when shooting in low light situations, and more in general in the darker areas of the frame. The footage almost becomes unusable if you try and use Technicolor Cinestyle. You really have lost weight since those FS100 shoots for Sony. Or perhaps the moustache is exceptionally slimming. As always, appreciating how you approached the character and action in such a short timespan. Still very much liking that 1DX… very far out of my budget, so it’ll remain an appreciation from afar unless I get a client willing to pay for rental. I really enjoyed this film. 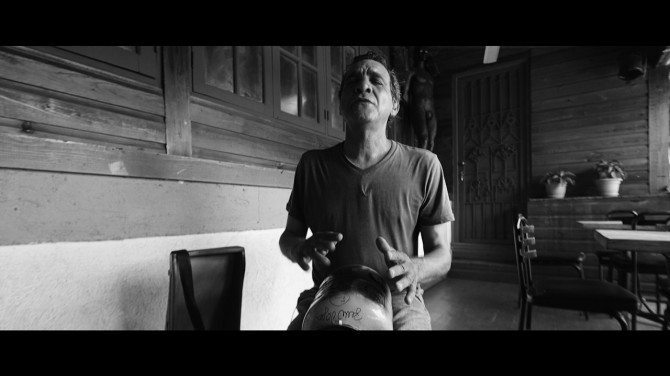 For me, the simplicity of the filming (handheld, natural light, black & white, etc) really matched the subject, who himself uses simple techniques to turn everyday items into beautiful sounding music. Just terrific. I did have an important technical question. I also use a Canon L-Series 24-105 (on my 7D), but the aperture changes when I zoom (darkens slightly). Even though all settings are manual. After researching on the web, it seems to be a quirk of Canon Lenses. For video, they are not constant through the zoom range. I’d kind of given up on Canon zooms until seeing your video, at 6:37, you zoom in on Felle’s face and yet there’s no darkening of the image. Are you wide open while doing this? That’s the only time I’ve found the “darkening” doesn’t seem to happen. If not, any thoughts you might have on this issue would be greatly appreciated. this jives with my results too. the effect is not present when the lens is wide open – which coincidentally is how you would view the scene when shooting stills. it seems that when stopped down canon is doing some kind of secondary aperture at the time of shutter release which compensates for the difference in diameter of the f-stop between one end of the zoom and the other. all seems to be rooted in the fact that f5.6 @105 must be a larger diameter than f 5.6@ 24mm. f-stops keep exposure the same and their diameter varies based on focal length as longer focal lengths have higher levels of light loss. i’m guessing when shooting video the f stop is a fixed size through the range and light loss becomes evident in the final output. i racked my brains on this for months… very few people seem to have noticed the phenomenon! hoping philip has some other insight on this! Loved the film!! Totally inspired after Austin. Thank you for all you did this week and continue to do for the education of filmmakers. Cheers Mike…it was not planned really…didn’t I mention it in this post? B&W helped simplify and lead way to the natural warmth and color he emits with his personality. Quiet Sunday morning on the porch…there was a nice feeling to this one. as a drummer I really responded to this piece Philip, I love the editing especially!! The film is percussive in it’s own right 🙂 I was just curious what pp you were shooting in? This makes me want to go out and do something in black and white again! Philip. This to me is one of the best shorts you have ever shot. The simplicity of the setup let the topic drive the clip. The Sven Nykvist school of lighting at play here for sure. In all honesty in the past I slagged off the DSLR as a pasting trend. I must confess I am now an acolyte, having 5 DSLR,S in my arsenal. Great choice in going the black and white route. Hi Phillip. Great, i like the way you interact with people. Maybe it’s because i started myself at news for TV, many many years ago. I think the Internet is a great platform for videos about and with people. Even if they don’t get into the news, many of them do have to tell their story like this guy did. And it’s a pleasure if someone like you will draw attention to him. Me like to shoot with two cameras. It gives me much more freedom in the post. And it forces me a bit more to think about what i really want to shoot. And it brings a lot authenticity into different lens and angles. I do like your closeups a lot. In this available light more then ever. Of cause i do agree it’s the best to do b/w in post. But because i use GH2 also, i must say: It takes a very very long time to get such a great b/w look in the post as you will get with the ETC Mode and 800-1200 ISO right out of the cam. It is significant faster for low budget. But only if it’s clear that exactly the used cam/lens combination and this look ist the only b/w that will be needed in the whole video. Phillip, very enjoyable film to watch and listen to. You captured the soul of the man brilliantly. Love the black and white. The film really illustrates how a few simple tools in talented hands is all one needs most of the time to tell a beautiful story. Thank you.